Collector vehicle coverage is an important part of any personal lines book. It is a terrific platform for building long-term customer relationships, and it complements your standard auto business. Owners tend to be better off financially, have other standard vehicles to insure, and take excellent care of their collector car or cars . . . everything you want in a customer. When you talk to a customer about protecting all of their cars, be sure to mention your ability to insure these future classics. Designed with the vehicle’s age, rarity, value, unique features, and limited use in mind. Title may be held by an individual, trust, LLC or corporation. Operators must maintain a separately insured vehicle for daily driving and have a good driving record. So, just what is a “collector” vehicle? A collector car’s age, rarity, value, unique features, limited use, availability of parts and services, and popularity across generations make it more desirable than a common auto. This program accepts a very wide range of vehicles. 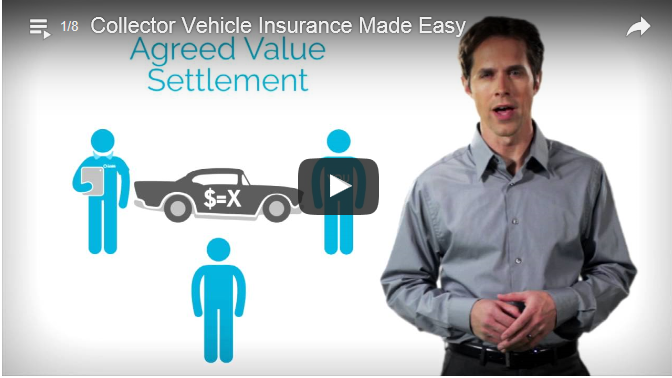 See how you can better protect collector vehicles.